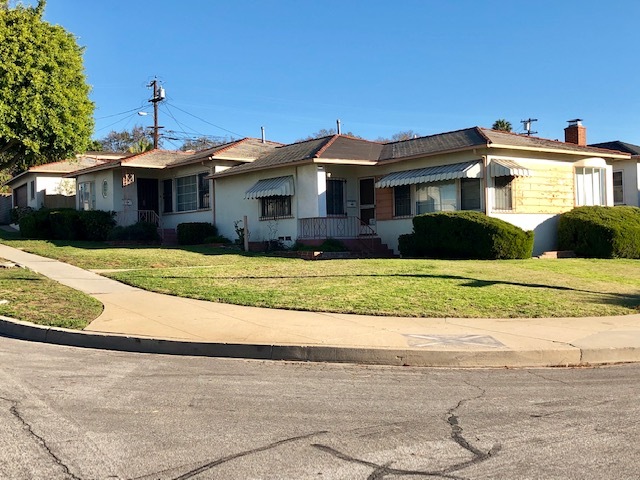 DESCRIPTION: GREAT OPPORTUNITY TO BUY AN INCOME PRODUCING DUPLEX CLOSE TO THE NEW LOS ANGELES RAMS STADIUM ON A CORNER IN INGLEWOOD (2) 2 BEDROOM, 1 BATH UNITS EACH CONSISTING OF LIVING ROOM, KITCHEN WITH BREAKFAST NOOK & CENTRAL AIR CONDITIONING & HEATING. DETACHED 2 CAR GARAGE WITH ELECTRIC ROLL UP DOOR. 2 LAUNDRY ROOMS ATTACHED TO GARAGE. GRASS BACKYARD. PERSONAL PROPERTY NOT INCLUDED IN SALE. DO NOT DISTURB OCCUPANTS. CITY OF INGLEWOOD PRE-SALE REPORT AVAILABLE UPON REQUEST. 2 ELECTRIC METERS AND 3 GAS METERS. MONTHLY INCOME: 2921 W. 101ST ST. – $600. PER MONTH. MONTH TO MONTH. 2923 W. 101ST ST. – $1,100. PER MONTH. MONTH TO MONTH. LOT SIZE: 9,150± SQ. FT.